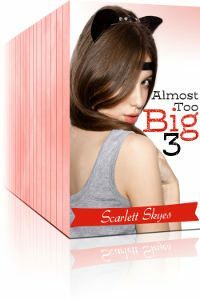 Now, gathered together in one box set, is the entire catalogue that made Scarlett Skyes the #1 ranked author in the genre. More than half a MILLION filthy, forbidden and taboo words that will not only melt your Kindle, it'll probably set your house on fire too! Updated as of November 2016 with all of Scarlett's latest work PLUS bonus content from fellow top 100 writer, Eliza DeGaulle.